Africa is classified as the continent with the highest threat caused by a changing earth climate. This threat is a result of interaction between diverse stressing factors which are already indicated in local ecosystems. These climatic effects are more visible in Africa than on any other continent or regions in the world. 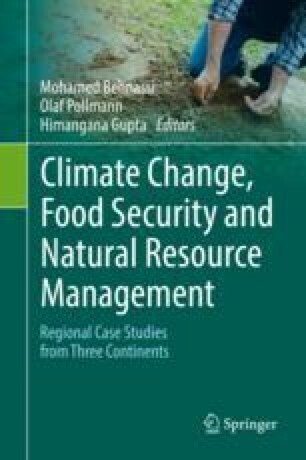 The interactions of climate change and anthropogenic caused environmental influences are specifically distinct like fire clearance, overfishing, and food security. Environmental and agricultural resources are fundamentals for social, economic, and ecologic development and essential for African countries. With increased interferences in the ecological balance of ecosystems, booming productions are one of the major and most serious effects on soil degradation. With indicators like soil wetness, pH, water-holding-capacity, soil fertility, drought etc. the productivity of different soils can be evaluated. With this evaluation, it will be possible to estimate the economic efficiency, and therefore concrete market potentials. Against this background, the impact of soil degradation will be investigated on examples of agricultural production in Africa. The importance to understand the market relevance and key markets in the agricultural sector is essential for the success of agricultural production in Africa. Dixon, J., Gulliver, A., & Gibbon, D. (2001). Farming systems and poverty – improving farmers’ livelihoods in a changing world. FAO and World Bank. http://www.fao.org/docrep/003/Y1860E/y1860e04.htm.